Apple has injected its Siri digital assistant with more power and sports knowledge ahead of the Australian Open beginning. iPhone, iPad, Apple Watch, Apple TV and Mac users can now ask Siri questions about tennis and golf and expect to get back detailed and accurate answers about their favorite stars or their performances and statistics. Siri’s new golf and tennis knowledge now sits alongside what the growing digital assistant already knew about other sports, such as football, hockey, and baseball, and is actually attributed directly to Apple and the internal Siri database rather than any third-party or external source. This means that Apple has educated Siri and provided the assistant with additional knowledge and data hosted by Apple internally rather than pointing queries at other sources, such as Wikipedia or other sites which serve up sports knowledge. Those who are interested in golf or tennis, and who have access to a Siri-equipped device, such as iPhone, Mac, or Apple Watch, will be able to ask a range of questions in past, present, or even future tense. Where tennis is concerned, this line of questioning could include asking how a particular match is going, who is playing next on the world-famous Wimbledon Center Court or even won a particular ATP or WTA tournament the year before. 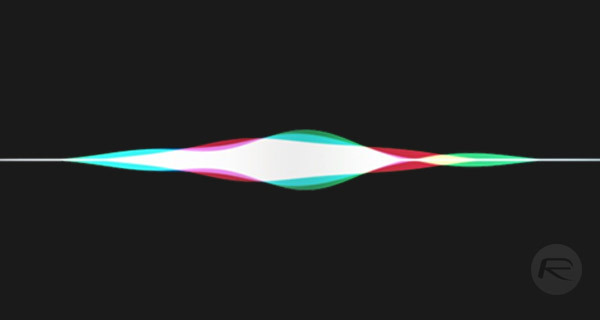 From a knowledge and capability perspective, Siri has been armed with data from the ATP and WTA Grand Slams from 2018, 2017, and 2016. Where golf is concerned, Siri has been up-skilled with knowledge from the PGA and LPGA tours, for both male and female tournaments, with that data going all the way back to 2007. Questions about golf could include asking who is currently winning a particular golfing tournament – as long as it falls under the PGA or LPGA tours – asking about a particular golfer’s scorecard, or even asking who win a historical tournament in a specific year. What’s particularly interesting is that Siri seems to have been tasked with given additional information where possible. 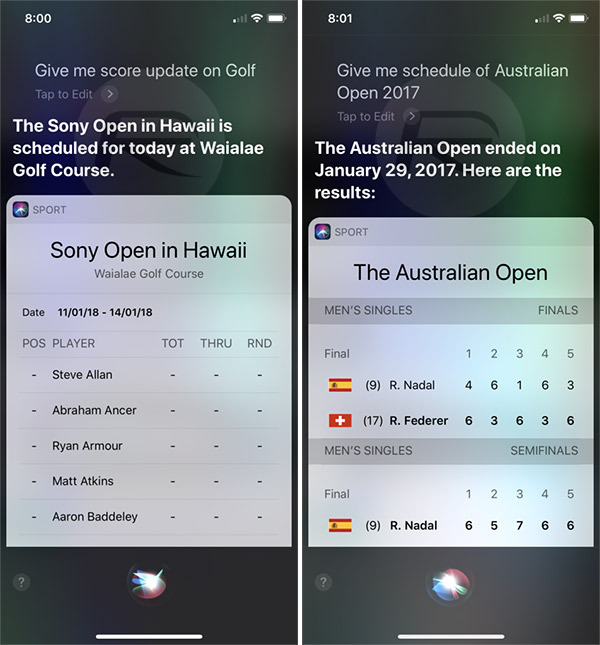 As an example, if a user asked Siri “who won the British Open golf tournament?”, the assistant would reply with “Jordan Spieth” and also give the golfer’s final score as additional information. All of these changes should be available right now as they are implemented as server-side changes from Apple’s side. I have no interest in golf or tennis, but I am surprised this is a new thing for Siri. I guess Apple is just now discovering there is an entire world of golf & tennis fans. whats faster – asking siri to look something up with a 50-75% chance of incorrect interpretation or to just open the web app and type it into search?